We all have that ex that we’re trying to make jealous – do you want to learn the real ins and outs on how to make your ex jealous? Then ladies, you’ve got to read this article! I’ve got all of the tips and tricks on how to make your ex jealous and maybe, if you want, how to win them out! So girls, you ready to explore how to make your ex jealous? Let’s do it! The first tip on how to make your ex jealous is start talking about other boys! 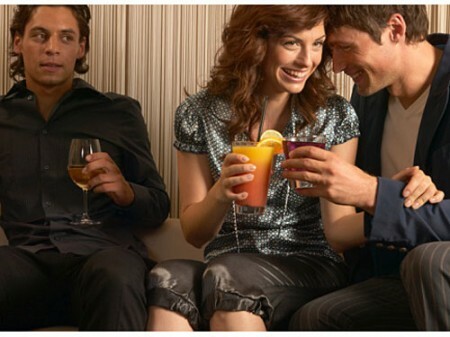 Really ladies, mention that guy that you kissed in the bar or even mention how you chatted up a hottie in the gym. Trust me, he’ll get jealous really quick and that’ll make him want you even more! Guys hate it when a girl isn’t bitter about a break up. In fact, they hate when a girl is strictly civil, even nice to them. It makes them remember exactly how things used to be before you broke up. So ladies, one of the keys on how to make your ex jealous is to be nice and civil to him. It’ll drive him nuts! Even if you aren’t happy, act it! Honestly ladies, you want to really learn how to make your ex jealous? You’ve got to be happy without him. Show him how you are better off without him and how you don’t even remember why you needed to be with him in the first place! Have you changed a bit? Show off the new you and let him know that you changed for the better! Trust me ladies, when a guy sees a girl that he used to date looking and feeling better without him, it’s one of the surefire ways on how to make your ex jealous! Not only do you want to show off the new you, but also looking incredible is definitely a sure way to make your ex jealous. Grab your sexiest outfit to strut around in or grab his favorite outfit that you look great in and use that to make him jealous! A guy always likes a girl that looks good! Did your ex finally break through and text you? Well girls, if you really want one of the ways on how to make your ex jealous, you’ve got to leave him waiting. Heck, I’ve made my ex wait at least three days before I texted him back. It drove him nuts! Are you going for a night out on the town with the girls to cruise? Why not say that on your Facebook? Social media is a great way on how to make your ex jealous! Not only can use your Facebook, but Tumblr and even Twitter too! Finally ladies, remember, the key to making your ex jealous is to be confident. If you are confident in not just yourself but your actions, I promise he’ll wonder what he was thinking leaving you! There you have it! All of the top ways on how to make your ex jealous and make him want you back! What other tips and tricks do you ladies have on how to make your ex jealous? Any that I missed?